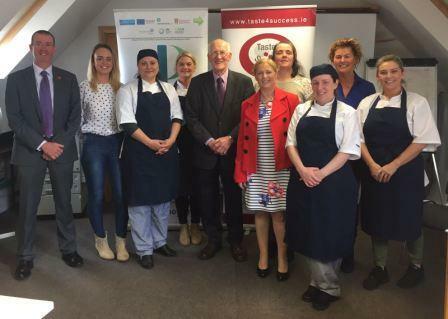 Inishowen Development Partnership (IDP) recently hosted a celebration and presentation of certificates to participants who completed the Chef Culinary Skills programme (KNEAD). 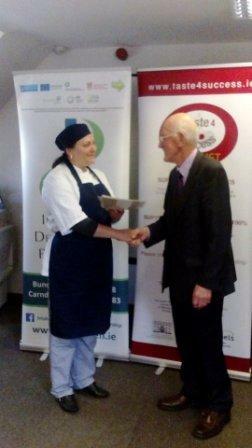 This programme is organised by Inishowen Development Partnership and funded by Taste 4 Success SkillsNet. The programme teaches nutrition basics, food safety, hands-on cooking and also has employer based work experience in the area. The programme aims to give jobseekers the chance to start a professional culinary career equipping students with skills for an entry level job in a professional kitchen. 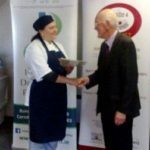 Participants on successful completion of the programme receive 3 accredited modules in Food & Nutrition, Work Experience and Food Safety along with a complete practical cookery book and a full chef’s uniform. Dermot McLaughlin, Chairman of IDP, was “delighted to have so many learners, from all walks of life, at the event to celebrate their involvement” in this programme. 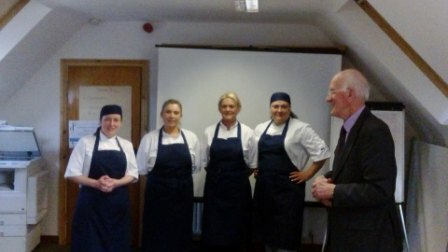 “We are delighted with the wide range of skills achieved and the challenges that you have taken to complete this course.” Dermot also acknowledged the tutors on the course for their commitment and delivery of the different elements of the programme: Martin Lynch (Cookery & Food Safety), Niamh Britton (Nutrition) and Annette Patton (Work Experience). One of the course participants, Natasha praised the course saying “This course is a great opportunity for career development and personal skills. It is also a great chance to start your own business, get work experience and hands on practical cooking. 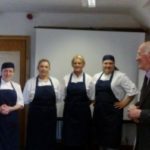 The book you get is like a Culinary Bible and I had a wonderful time on the course.” It is hoped that this programme will act as a stepping stone on to further training and indeed ultimately employment in this growing sector. The course is open to anyone seeking work in the food sector, part-time employed or interested in enhancing their employment prospects. For programme details and application form please contact Katie/Maureen at IDP at 9362218 or email reception@inishowen.ie.